We’re delighted to welcome creatives from all over the world to our Sydney campus. If you’re an international student and would like to apply to study our interior design courses, read on to find out more about our entry requirements and application process. We offer two accredited career courses to eligible students coming to Sydney from outside Australia. You can apply for our January or July intake. 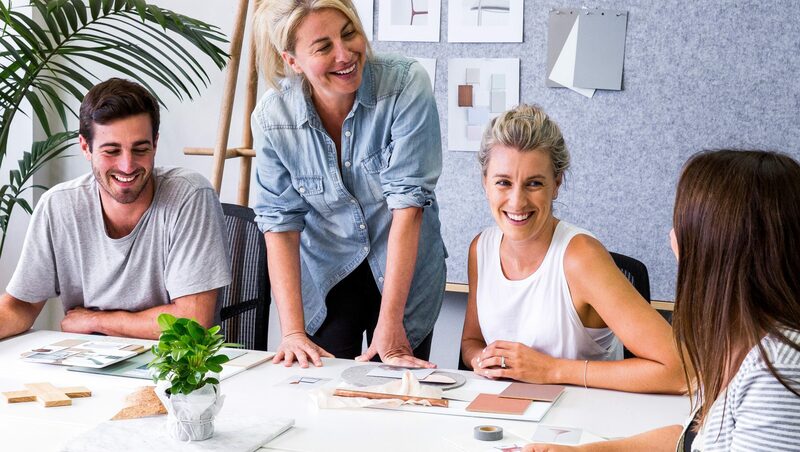 Graduates of Sydney Design School join a network of professional Interior Designers working all over the world. 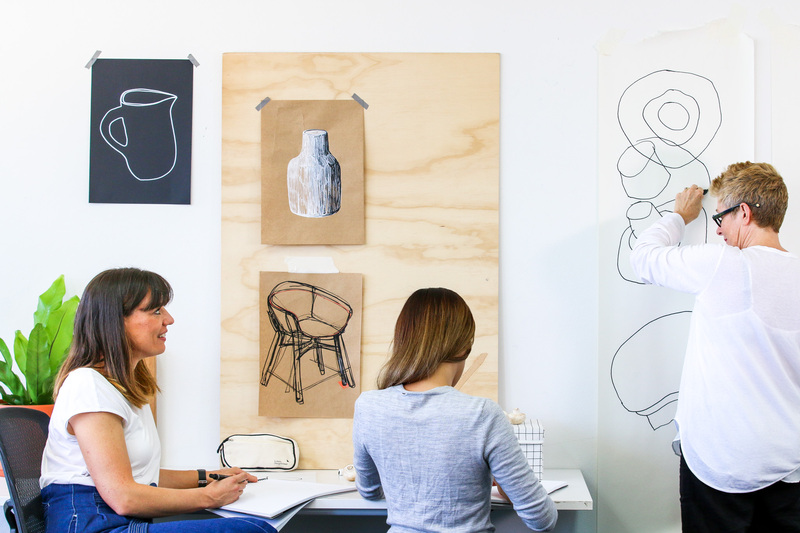 Our Diploma of Interior Design (MSF50218) and Advanced Diploma of Interior Design (MSF60118) are accredited by the Australian Skills Quality Authority (ASQA) who is the national regulator for Australia’s vocational education and training sector. Sydney Design School is accredited to accept international students by the Commonwealth Register of Institutions and Courses for Overseas Students (CRICOS). Click here for a link to our Term dates and holidays. Our campus is located north of the city over the iconic Sydney Harbour Bridge, access is just 15 minutes by train from the heart of the city. Our studios are spread over an entire floor comprising of six classrooms and 2 computer labs. Our students enjoy a beautiful breakout space including an expansive outdoor area and their own kitchen facilities. Please familiarise yourself with our enrolment process before you begin your application. Watch our online Information Session here. Review the entry requirements for our courses, write your motivational statement and prepare your portfolio or response to our design brief, more info here. Check whether you are eligible to apply for an international student visa to study in Australia. More info here. Download, print and complete your enrolment form here. You will need to scan and email this form with a certified copy of your passport and (if English is your second language) your English language competency test (IELTS or equivalent) to info@sydneydesignschool.com.au. More info on IELTS here. You will receive a confirmation email that your application has been received. We will assess your application and eligibility and request a Skype interview to discuss this further. We will respond to applicants within 5 working days of their Skype interview to advise whether their application has been successful. If you have been accepted to the School you will receive a Letter of Offer. You will need to sign your Letter of Offer and email it back to us. At this stage you will pay a deposit of AUD $1,495.00 on your course to secure your place. If you are unable to obtain an international student visa your deposit will be partially refunded (see Refund Policy here). Our team will send your Certificate of Enrolment within 5 working days of your deposit being received. You will need this document to apply for your international student visa and Overseas Student Health Cover, more info here. Provide evidence of your international student visa and Overseas Student Health Cover via email. Once you’ve completed these steps we look forward to seeing you on campus! We’re passionate about providing a positive experience and supportive learning environment for our students. Sydney Design School recognises that all people learn differently and acknowledges that some students may require additional support. Please don’t hesitate to get in touch with our team on +61 2 9437 1902 to talk further. For a full list of our policies please visit our Student Support page here. Sydney is a diverse, vibrant city with a warm climate. We love our city and know you will too. Here’s some links to help you get the best from your experience. Sydney is thriving with creativity. We love these online guides for the best places to eat, drink and play. Sydney has a network of ferries, trains and buses to get you from A to B. Our campus is just a few minutes walk from St Leonards train station with trains and buses (on the Pacific Highway) connecting you into the city in 15 minutes. Sydney operates under an Opal Card system whereby you tap on and off during your journey to determine the cost of your trip. Information on international travel concessions and the Opal Card system can be found here. Knowing the average living costs in Australia is an important part of your financial preparation. For your reference, here are some of the costs associated with living and studying in Australia (all costs are in Australian dollars) and have come from the Study in Australia website here. The costs below are an approximate guide only. Students should be aware that these costs can vary depending on your study location. The Australian Government provides information and guidance on managing your finances. You can read more here. Sydney enjoys a sunny climate with mild winters and warm summers, perfect for enjoying the great outdoors. 18.6 – 25.8°C (65.5 – 78.4°F). Average humidity spikes to 65%. 14.6 – 22.2°C (58.3 – 72°F). 8.8 – 17°C (47.8 – 62.6°F). Sydney’s rainfall is generally highest in June. 11 – 23°C (51.8 – 73.4°F). The Australian Government is committed to ensuring you have an excellent education experience in Australia. Their new fact sheet for international students contains important information about your rights and responsibilities while studying in Australia. If you’d like to join us, you’ll need to ensure that you are eligible to study in Australia before applying. Please note all immigration requirements are your personal responsibility. Failure to comply will require Sydney Design School to report any breaches of your visa conditions to the Department of Immigration and Citizenship. Sydney Design School operates according to The Education Services for Overseas Students Act (ESOS Act). This legislation has been established to ensure a high quality learning experience in Australia. For more information, visit the government website Australian Education International here. The Department of Home Affairs website provides all information in relation to visa requirements, responsibilities and compliance. More information here. You are limited to 40 hours of work per fortnight when your course is in session and unlimited hours in out of session periods. This is to ensure that you are mainly focused on your studies. Work conditions for student visa holders can be found on the Department of Immigration and Border Protection website here. Australian workplace laws provide basic protection and entitlements for all workers in Australia, including workers from overseas. International students have the same entitlements to minimum wages and conditions as Australian workers, as well as superannuation and workers’ compensation under Australian workplace laws. Find out more about minimum wage requirements and conditions at Fairwork here. Australian laws also protect you from being discrimination when you are applying for a job, about to begin a job, or any time during your employment. For more information about discrimination at work, visit Fairwork here. The Fair Work Ombudsman (FWO) helps employers and employees to understand their rights and responsibilities at work. The FWO can also investigate suspected breaches of workplace laws. To find out what you should be paid and learn more about your minimum workplace entitlements you can visit Fairwork here or call 13 13 94 from 8am to 5.30pm Monday to Friday inside Australia (except public holidays). Note: Getting help to resolve a workplace issue will not automatically affect your international student visa. If you have a complaint about our institution, we encourage you to talk to us first. We have a complaints and appeals process in place to help students resolve any issues. As we are a private (non-government) organisation, you can also take your complaint to the Overseas Students Ombudsman (OSO) if you feel your complaint has not been actioned appropriately. Refer to the Overseas Students Ombudsman website here or call 1300 362 072. Expect to roll your sleeves up and get creative – our courses are about practical learning. You’ll experiment with colour, build models, create sample boards and learn to draw by hand and with latest industry software. 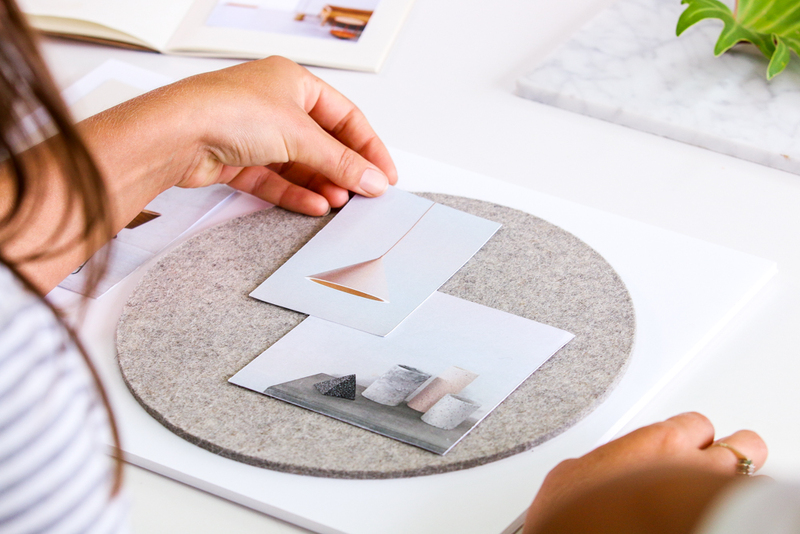 We believe you need a strong, varied portfolio to find work in the interiors industry. 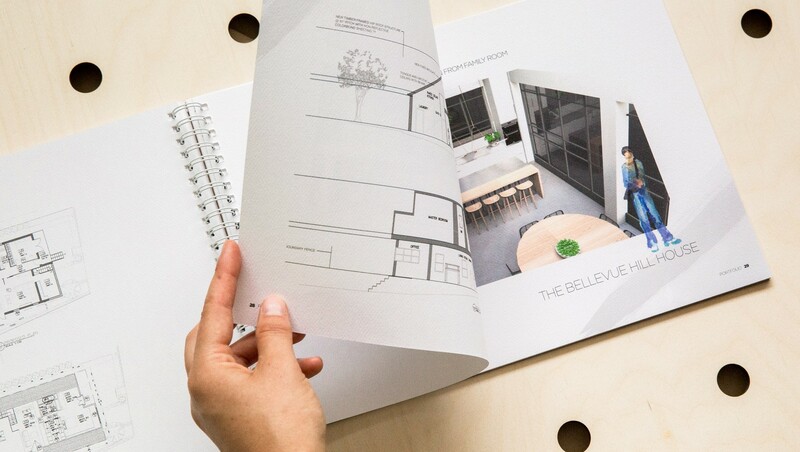 We’ve structured our Diploma courses to ensure you’ll work on a range of residential and commercial projects from homes to cafes, workplaces and restuarants. We’ll teach you to present your ideas in professional 2D plans and 3D renders. Great designers make great teachers. Our Educators are practising professionals, they bring their real-world experience into the classroom. Be inspired by their passion for design and stay up to date with the latest trends and industry best practice. Ready to follow your dream in Sydney?